These huge industrial winches came to us from one of the local demo companies we work with. 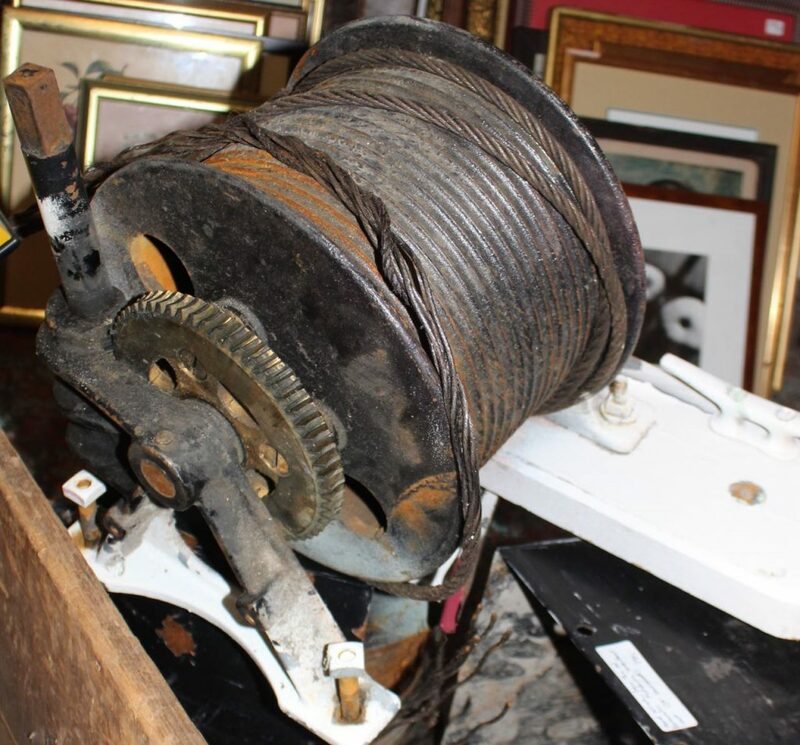 These winches were pulled out of an old prep school gym prior to renovation. They weigh over 50 pounds each. They match but we are selling them individually. Good working condition.